The tragic case of Puppy Doe, the dog who was found malnourished and tortured near a playground in Quincy, Massachusetts, last year, has made a difference for animals in Massachusetts. In the wake of worldwide outrage following the case, Massachusetts has enacted a new law that creates stronger penalties against animal cruelty and imposes a duty on veterinarians to report possible cases of animal cruelty to government authorities. Puppy Doe was a female young adult Pit Bull who was found starving and badly injured in a playground in Quincy, Massachusetts in August 2013. According to The Animal Rescue League of Boston, the dog’s injuries indicated that she had suffered from extended starvation and beatings. The abuse was so severe that the veterinarians could not heal the dog, and they were forced to euthanize her. Puppy Doe’s case gained international attention after The Animal Rescue League of Boston, and the Quincy Police Department asked for the public’s assistance in locating the person who had abused the dog. The request was successful; ultimately, a tip led to the arrest of Radoslaw Czerkawski, a Polish man who had been living near where Puppy Doe had been found injured and barely alive. 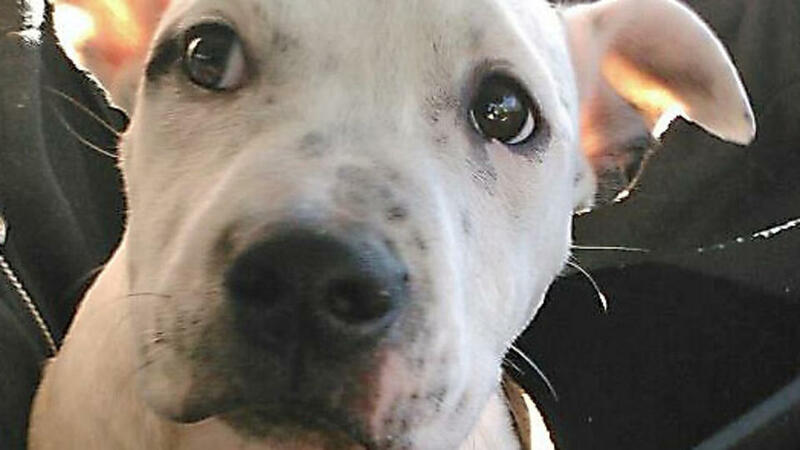 In addition to tips from the public, Puppy Doe’s case prompted an outpouring of international support from people who were moved by the horrific abuse that the dog had endured. People held a vigil for the dog, donated thousands of dollars to help catch the person who had mistreated her and formed Facebook groups in her support. The case drew the attention of Massachusetts’s lawmakers as well as the public. 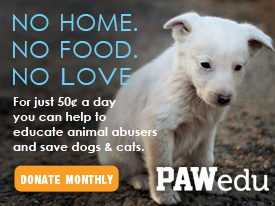 Massachusetts Governor Deval Patrick signed the stronger anti-cruelty bill last August. The bill creates higher penalties for those convicted of animal cruelty, increasing fines from $2,500 to up to $5,000 for first-time offenders and possible imprisonment from five to seven years. A repeat offender may receive a fine of up to $10,000 and up to ten years imprisonment. In addition to increased monetary penalties, the bill requires veterinarians who suspect that someone is abusing an animal to report the suspected animal abuse to the government. The Board of Registration in Veterinary Medicine will review veterinarians who do not follow this obligation. The law will also set up a task force of people who will review and assess the effectiveness of Massachusetts’ laws relating to animal cruelty and protection. The task force will suggest additional measures that can be taken to combat animal cruelty in Massachusetts, such as providing recommendations for how police and other professionals can receive education on the link between domestic violence and animal abuse. The task force will also explore whether the state should participate in a national animal abuse registry. The Massachusetts Society for the Prevention of Cruelty to Animals (MSPCA-Angell), a non-profit organization that was founded in 1868, was instrumental in gaining support for the new law and guiding its passage through the Massachusetts legislature. MSPCA-Angell director of advocacy Kara Holmquist says that while the widespread public reaction to the Puppy Doe case helped gain public support and momentum for the bill’s passage, the public outrage that Puppy Doe inspired was not the only factor that led to the creation of the law. “This was not a reactionary response to one case,” Holmquist said. Although the Massachusetts law puts the impetus on veterinarians to report animal cruelty, Holmquist said that citizens can also help to protect animals from being mistreated. Holmquist stated that citizens who encounter animal abuse should contact the appropriate local authority, whether this is a specialized animal protection force—in Massachusetts, there are specific law enforcement organizations dedicated to stopping animal abuse—or the local police. Even if no abuse has occurred, letting the authorities become aware of the abuse may still help the animals. “Officers do a large amount of education,” Holmquist said. Even if the person’s treatment of the animal is not cruelty that could be prosecuted under the law, officers may still be able to educate the person on how to treat his or her animal better. “Sometimes people are willing to make changes in how they care for their animals,” Holmquist said. Preventing cruelty to animals is important, Holmquist stated, not only because of the desire to prevent animals from suffering, but also because of the well-established link between animal cruelty and other types of violence. Holmquist noted the recent case in Blackstone, Massachusetts that had been reported by the media as a “house of horrors”, as a situation in which police investigations suggested that animal abuse had occurred in tandem with abuse against humans. There, police found the bodies of three infants as well as the remains of cats and a dog. 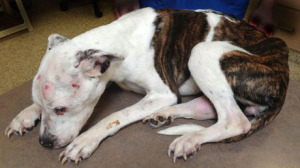 As this case shows, prevention of animal cruelty is important to both people and animals. Your turn. Comment below and let us know if your state requires harsher penalties.